Social Media Marketing Blog & Tech News. A deeper and personal dive into social media marketing in the digital age. It's a pretty cool feeling when you're reading a blog and you realize you've already been to the future! That's the feeling I had as I read "The Future is All About You" on Medium by @beautyisscience. The opening paragraph shows how mirrors will soon be connected to the IoT and analyze our facial features and skin care needs. Below is the YouTube video showing how beauty meets technology. Take a trip to the future: discover how new technology will transform the candidate journey as well as the customer journey. Discover how digital innovation could soon mean that you go from shopper to candidate to employee. As you can see CES 2015 already had some amazing ideas that are soon to be realized! L'Oreal is capturing the world of technology and integrating it with some of the best minds in beauty. Technology is very much changing human sociology & psychology - the customer journey is no longer being dictated by brands or TV. The World is very much at our fingertips! These three things could be a trend coming to your social media strategy table very soon. Facebook, Twitter and of course YouTube have embraced the power of video. However, apps like Musical.ly, Periscope, and SnapChat are dominating the "live" video social sphere. A push for Social Media managers is to review what their strategies are for video and how to implement them across social channels. From mute Instagram posts to short and entertaining Snaps managers need to start navigating the social waters with the understanding of what type of audience is on a specific platform. The largest algorithmic change we could possibly see is Twitter abandoning the chronological timeline. As of late Twitter has come under pressure to perform and excel - at the same time their growth has started to stagnate. Expect a change to Twitter before to long in 2016. Finally the financial health of LinkedIn and Twitter on Wall Street has been put to the test in the last few weeks. It's starting to look like the market cannot support another new Social network and the dominant players need to secure their spots or risk collapse. The same goes for emerging social platforms such as SnapChat, these networks need to secure revenue streams before the venture capitalists river of funds dries up! What trends do you see coming in 2016? Posting to Social Media changes everyday - and today is no different. 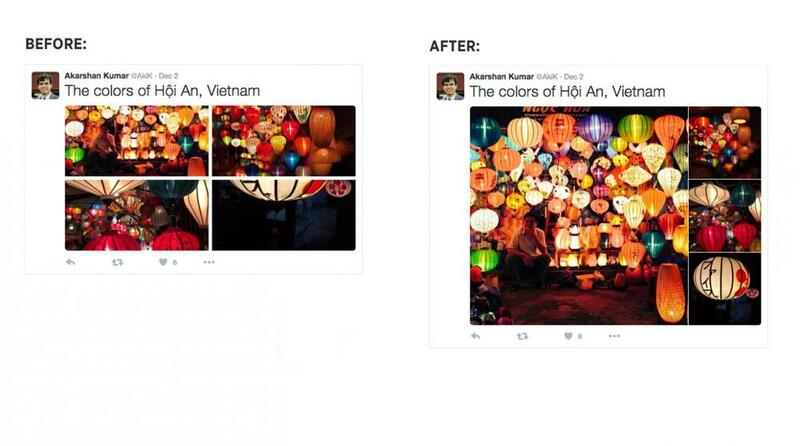 Twitter is going to refrain from cropping your images to a 2:1 landscape view. This change is also retroactive, so you don't have to go and change your old posts. You can view your history and see them without being cropped to a landscape format. From 1:2 to 1:1 aspect ratio. Not to be forgotten the gallery card has been updated so it no longer displays 4 equally sized images but, a new larger main photo along side 3 smaller images. Have a main focus with back up context! So far this affects only Twitter.com, but we should expect to see this probably roll out on their mobile apps soon. Creating content is easy. Creating effective content is challenging but shouldn't be too difficult. Today's Social Media environment isn't in any need for more content. As the infographic below shows we are making way more content than we can ever dream to read, watch or listen too. Your business can easily get drowned out by the flood of information being pushed into every users virtual face. From start to finish the photo and editing roughly took 2 hours to create. The return? The kids loved being tagged in such a fun post. The post saw an increase of 80% in comments and above average likes. The biggest win was in the comments. The kids felt like they were part of something bigger than themselves and this helps build brand loyalty. So when you feel like making another filler post...stop and take some time to make something worthwhile! I love the change of the seasons! 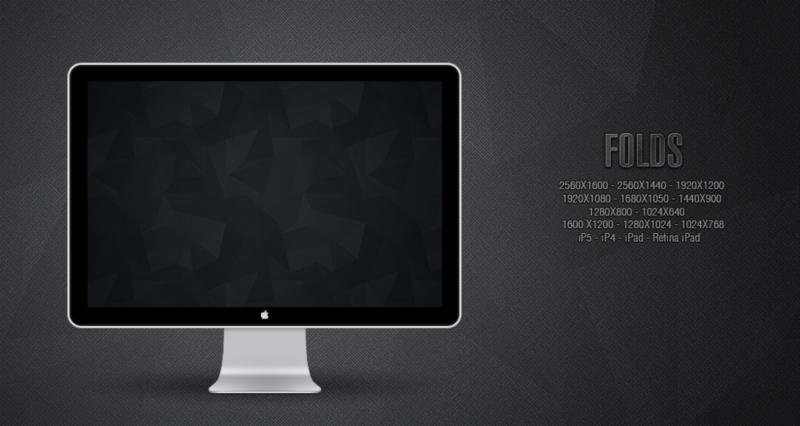 With it brings new desktops. Here is my pick for this years Fall desktop. A cornerstone of the internet got revamped yesterday and this video sums it up beautifully. Looks like YouTube is phasing out their old dated annotations tool. They always come off a bit spammy or at the very least obtrusively unattractive. The new cards come in the following types: merchandise, fundraising, video links, playlist links, associated websites and fan funding. I would suggest for most business that thrive on YouTube to start implementing this in their social media strategy. Here's my latest desktop background. For more awesome photography check out unsplash.com! Be sure to update your iOS devices. The SSL/TSL exploit that is currently open on iOS 7.0.5 and lower is of great concern if you connect to open networks often. For more information check out this link and be sure to update via iTunes. Think before you speak is now think before you tweet. At least one 20-year old in Canada is finding out the hard way. 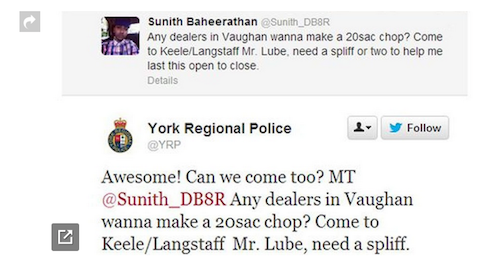 It's best not to tweet about needing a drug dealer to stop by your work. Jokes while at work seldom work out. Employers don't like negative publicity. Just remember Social Media is public so what you type...everyone can see. Including the police. Today marketing seems gripped with Social Media. If you don't have a Facebook Page or a Twitter feed it means you're not relevant. While this might be somewhat true the converse of not having a well maintained website is just as bad, if not worse. Today millions of consumers scour the internet and search for any bit of information they can find for a product or service. From social media sites like Yelp and Facebook to review sites like Angie's List. Nothing beats a website that you create. After all who tells your story best? By having control over content and the look and feel of your website. You have the chance to tell your story the way you want it to be told. But, don't forget Social Media! What better way to incorporate Social Media than by highlighting it on your site? Customers love to hear their name, so why not post comments to your own website. This can help increase user engagement and draw in more loyal customers. Facebook and Twitter continue battle it out on their quest for market share. This time it's on video. Not long after Twitter virtually closed the door on Instagram, they released Vine. This new six second only video app raged for a few weeks on iTunes download charts and still resides as the #3 spot. Now Instagram - which is owned by Facebook - is looking to fire back. Reports have leaked a possible June 20th release of a new video feature for the extremely popular photo only service. Let's see how Instagram improves on this new creative medium. I love Airdrop for the Mac, it allows me to send files quickly from networked computers. No thinking just dragging and dropping. Instashare finally brings this to iOS, so you are now able to just share photos/presentations/MP3's and more with your Mac. The app is free but does contain ads, if you want to get rid of the ads just pay the 99¢ and the ads are gone! Check out how simple it is on this short video. Instashare from TwoManShow on Vimeo. I've been using GTD apps for awhile now and I never seem to get the right combination of features in one app. I need a GTD app that is everywhere, from the web to my phone and one that isn't too hard to figure out, yet robust to handle more complicated tasks. That's where Things 2 comes in to play. It's an easy to use (and figure out) app on the iPhone and allows you to create tasks you need to do today, schedule at a later time or start a project. If you want to check it out head over to the App store and check it out. You can download a free version to your Mac and the iPhone app is only $9.99. Why Facebook could be King of social media for a long time. Many of us remember the days of Friendster, MySpace and Facebook. But, now there's only one left that reigns supreme and it looks like it's going to stay that way for awhile to come. 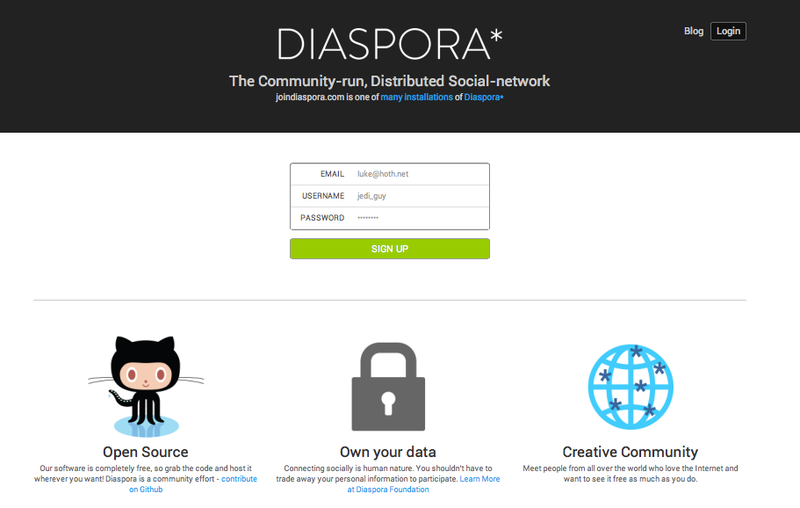 Diaspora was launched two years ago when everyone on Facebook had an uproar over privacy settings. Indeed, Facebook was pushing the envelope but eventually the World took the medicine regardless if they wanted to or now. The site allowed users to keep their data private and portable (to where, I have no idea) it had a flood of interest but it took a long time to compete with the monstrous Facebook. Time has come to an end though for Diaspora, their founders have called it quits and now it's up to the community to see how long it survives. Farewell Diaspora, at least you tried. Pulse is one of my new favorite iApps and it translates on the web with similar user experiences as on the iApps. Pulse is a news aggregator, however, it's not just news or politics but it can take almost any blog or site and be placed in a category for you to browse. If you like to read news and read news fast then this app is what you need. Best thing of all, it's free! And you can sync the app with the web app so you never lose a story. Be sure to check it out www.pulse.me. If you love great weather apps you'll love this one. Dark Sky was started by Adam Grossman & Jack Turner on Kickstarter (an online funding platform for creative projects) as a weather app that predicts the weather. I've been using it for about a week now and so far it hasn't really rained here in NYC, but tonight it's telling me in about 20 minutes we're going to get some rain. Which is awesome, in that there are many times I need to run out for a quick second but I don't know if I need my rain boots or not. This is the perfect app for those of us who need to know is it really going to rain today. Head over to Darkskyyapp.com and check out the app, it's comes ready for iPhone/iPad.